Written by Huda al-Saleh, the article sought to expose what it called “details of calls to attack Trump by US ‘Muslim Sisters’ allied to the Brotherhood.” The article began by noting that two Muslim women, Ilhan Omar and Rashida Tlaib, were recently elected to the US Congress. However, “those sponsoring and supporting the two Muslim women to reach the US Congress adopted a tactic to infiltrate through their immigrant and Black minority communities in general,” insinuating that Muslim Brotherhood activists sought to drum up support for the Democratic candidates. “The Democrats battle against Republican control of the US Congress led to an alliance with political Islamic movements in order to restore their control on [sic] government.” The piece asserted that the Brotherhood and “all movements of political Islam” are also tied to fighting against sanctions on Iran…. 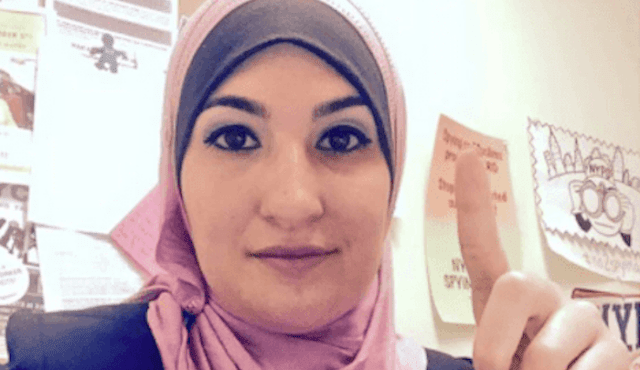 Under the headline “Sarsour activities with Muslim Brotherhood,” the feature detailed a series of events attended by the activist. It claimed she went to the International Network of Muslim Brotherhood in North America in 2016 which was “organized by the Islamic Circle of North America.” In 2018, groups in Canada raised concerns about Sarsour’s participation at another ICNA event, according to The Canadian Jewish News. But Al-Arabiya pointed out that Sarsour appeared next to Samah Safi Bayazid, who had posted a photo with Turkish president Recep Tayyip Erdogan on her Twitter account. In this roundabout explanation, the article sought to link Sarsour to Siraj Wahhaj, a “pioneering Islamic preacher in New York.” Unsurprisingly, the article then claimed that Wahhaj – “whom Linda Sarsour has admired and who in turn influenced her” – has been in the spotlight for being arrested in New Mexico.